Those of you that ski, climb, and hike will be very familiar with SCARPA for their ski boots and climbing footwear, but they also have a nice collection of hiking and trail running footwear. SCARPA calls Italy its home, with origins dating back to the late 1930’s. While their trail shoes seem to be very popular in Europe, I have not seen them too much in the U.S. As such, I was really curious to give them a try and share my findings . 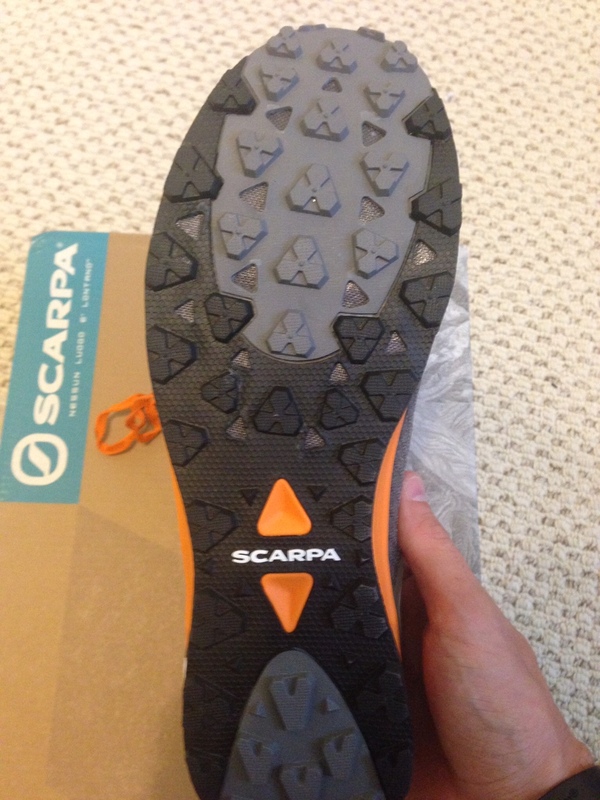 DISCLAIMER: I have no formal affiliation with Scarpa, however, they did provide me with a demo pair for my review. As I took them out of the box and tried them on, I immediately started comparing them to the La Sportiva Helios, particularly with the upper. This shouldn’t be surprising since they are both Italian companies inspired by similar terrain. The upper mesh is breathable and durable, yet light in weight. They use a thin vinyl coated lace which feels a bit flimsy, but is seemingly more durable. The tongue of the shoe is thicker than the ultra-thin trend that we are currently seeing with many shoes in the market, but still thin enough to minimize gaps where debris could enter the shoe. The bottom doesn’t draw the same comparison to the Helios as the upper, but it certainly holds its own. They use triangle shaped lugs with a clover pattern on most of the shoe, with v-shaped lugs on the heel. Overall, this provides a pretty aggressive grip with deep enough lugs to handle slicker terrain. I am going to make one more comparison to the La Sportiva Helios here. One of the biggest complaints that I hear about La Sportiva is that they have too narrow of a fit. This is not the case with the SCARPA Tru. It has a slightly wider fit, which gives the perfect amount of room to avoid too much pressure on your foot, especially for longer runs where you might experience some swelling. Overall, I was really impressed with the performance of this shoe on varying terrain. The comfort and ride was awesome and is by far my favorite trait of this shoe. On my longer runs, I didn’t have so much as a hint of a hot spot, and my feet still felt fresh. The grip was great, even on steeper terrain. This left me with an increased level of confidence in my footing that allowed me to pick up the pace a bit on the downhills. I did experience some slippage into the front of the shoe on steep downhills and a little bit of heel lift on the steep uphills, which could cause issues for some. Here are details and Strava links for a few of my main runs with the Tru. These shoes are super comfortable without having a squishy feeling to them. Despite the fact that they were comfortable, they still were firm and responsive enough to feel like I wasn’t losing too much energy. They are light enough that I can use them as a racing shoe and durable enough to use as an everyday trainer. Even after about 75 miles, despite being dirty, they look new with no visible damage or wear. One thing I noticed right away is that the Tru does not have an upper lace eyelet. I generally like to tie a heel lock when lacing my shoes, especially when running steeper terrain. I am not able to do that with these and therefore had to resort to tying them extra tight to minimize foot slippage. The only negative mark on this shoe is the slipping that I experienced on steeper terrain. I have experienced similar problems with other shoes that I quickly remedied with a heel-lock lace tie. Unfortunately, with the lack of a second eyelet at the top of the shoe, this isn’t possible with the Tru. Other than that, this shoe would be near perfect. 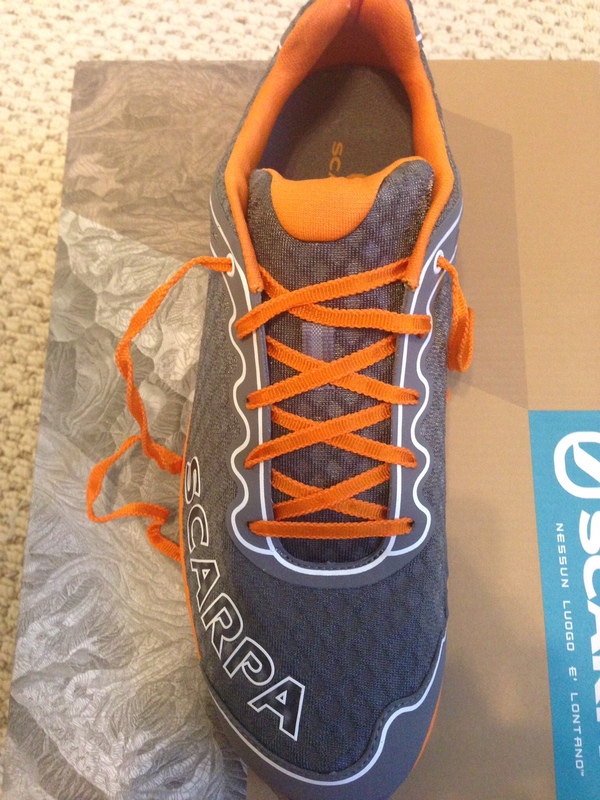 I am really impressed with my first SCARPA experience and will definitely look into some of their other models. I would not hesitate to recommend them to anyone on flat or rolling trail terrain. If you run on steeper mountain trails and don’t normally have issues with slippage, I would also say that they are worth a shot. 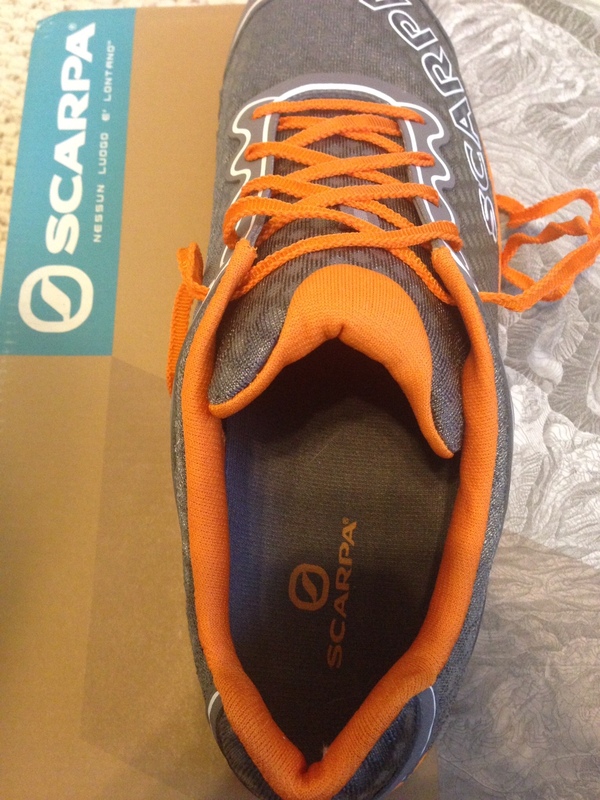 This entry was posted in Gear Reviews and tagged footwear, gear review, running, Scarpa, shoes, trail running, Tru, ultra running, ultrarunning by Ultrarunner Joe. Bookmark the permalink. Reblogged this on Colorado Outdoor Adventures.